Regulate foreign spaza shops, says ANC. The past few months have been characterized by increased political activities as ANC branches gear up towards Mangaung Congress at the end of the year. Service delivery protests have been a day to day activity in the South African landscape and with these and other issues have come increased attacks on foreign owned businesses. 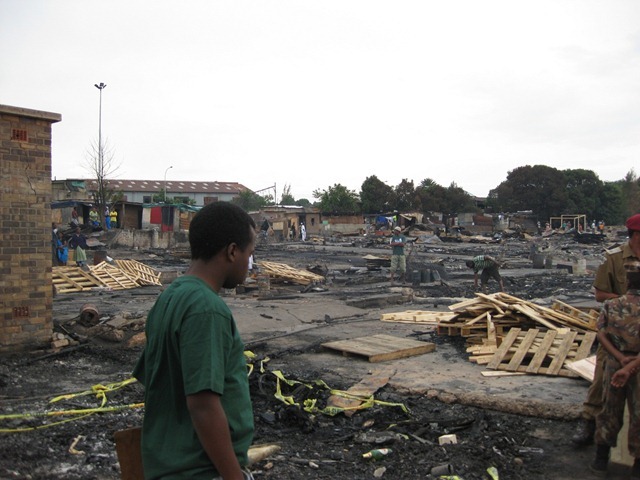 Approximately 400 foreign owned businesses in townships across South Africa have been attacked, looted or burnt to the ground by angry mobs or well organized criminal gangs in the last 2 months alone. Local traders in townships have become increasingly frustrated and although forums were established by government to address the issue, no solution has been provided by government to date. This has increased the tensions in townships as local business people resort to unscrupulous actions to eliminate competition of foreign owned businesses. Police at station level report that 90 % of crime against businesses are targeted at foreign owned businesses. 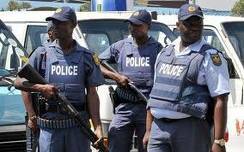 It can be expected that tensions will increase as the road heads downhill to Mangaung and with that attacks on foreigners in South Africa in general. 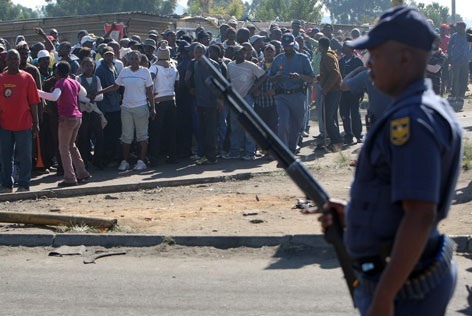 Monitoring and investigating xenophobic tensions and incidents in Gauteng, Mpumalanga, North West, Free State and in the Eastern Cape as an operational partner of the UNHCR, Militia / DMPSP has predicted and taken note of the recent heightened xenophobic tensions in the country. A low Intensity Conflict (LIC) is gaining momentum towards foreign owned businesses, especially those owned by Somalian, Ethiopian and Pakistani/Bangladeshi traders. In Gauteng an organization which sprung out of the tensions experienced last year in Freedom Park, calling itself the Greater Gauteng Business Forum (GGBF) has been established and is bringing together various local business forums together under one umbrella to oust foreign traders from townships. This and other local business forums have been mobilizing and taking action against foreign shop keepers, forcibly closing, intimidating and even going as far as executing violent actions towards foreign traders. However the main thrust of this LIC has been the constant criminal activities which is being executed towards foreign traders. Approximately 90% of all business robberies and crimes on businesses in townships is being carried out against foreign owned shops. Police response to such crime has been limited. However police has taken action on several occasions against members of GGBF both in Soweto and on the East Rand, where arrests for intimidation were made, but these cases were withdrawn by the DPP. General Government response has been moderate, and although they have taken note of the problem, their response has been to set up forums for discussion which are expected to have limited effect. The indications have been however, that whilst the bureaucratic wheels are turning, the problem continues to fester and the xenophobic mobilization gains momentum. 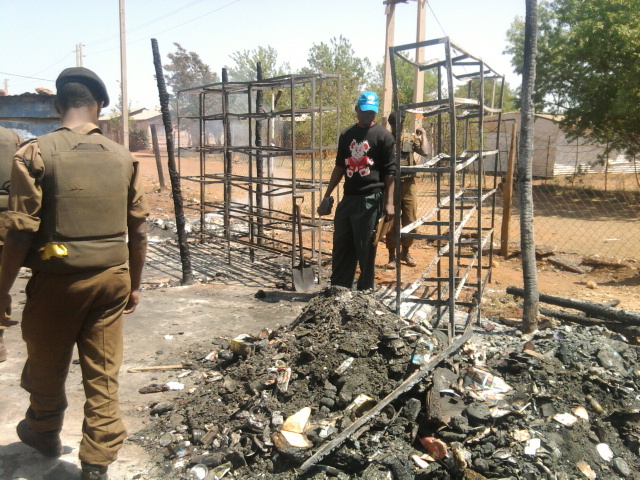 In various incidents around the country foreign owned shops have been attacked, looted and even burnt to the ground. In places such as Port Elizabeth Somalian traders are being killed on a weekly basis, and recently attacks on foreigners other than traders have begun to rise as experienced in Diepsloot – Gauteng and in Limpopo recently. With service delivery and other civil unrest taking place daily, especially in Gauteng, it is expected that attacks on foreigners will also be executed during such protests as has been the case in the past. The issue of xenophobia in South Africa cannot be ignored. Although many of the local business forums have expressed that their issue is not xenophobic, it is nothing more than “grand standing”. The attitudes that we have experienced are purely xenophobic. The trading issue being brought up by business forums as specifically relating to foreigners is creating a perception of xenophobia which is being taken advantage by criminal elements, and which makes refugees / foreigners easy targets for criminal elements. The fact is however, that most communities which have been affected are not xenophobic and the situation / conflict between traders has been taken advantage of by criminal and other petty political elements. In some communities including in Port Elizabeth and in Ramaphosa communities have stood up against local shop owners attacks on foreigners. The situation is a developmental issue. 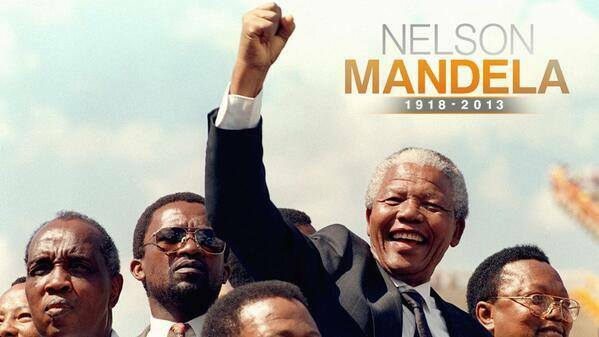 Government needs to take serious heed before the situation explodes to something akin of the 2008 xenophobic attacks. 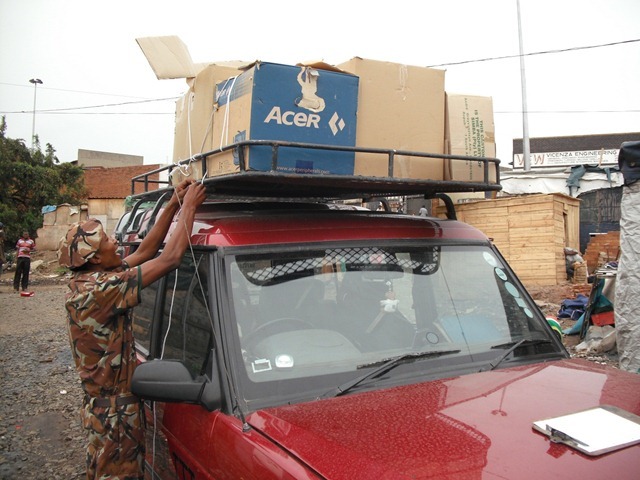 Militia Recently deployed to monitor the situation in Ficksburg and Clocolan as part of the UNHCR outreach program. The situation has become extremely tense, especially for the people of foreign origin and foreign traders in the area. 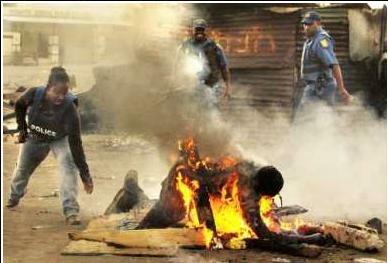 More than 12 shops belonging to foreign nationals had been looted or burnt in Ficksburg and 17 shops in Clocolan. 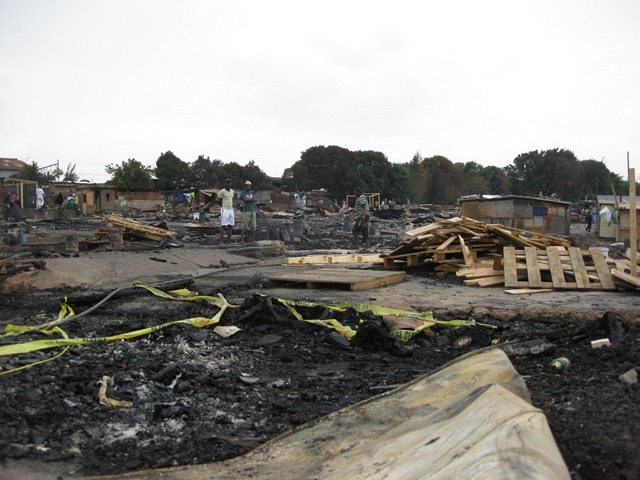 75 Ethiopian traders in both Ficksburg and Clocolan were left displaced. Issues were mainly related to service delivery, whereby criminal elements have taken advantage of tensions in order to carry out actions according to their own agenda. We have highlighted the following priority CIVIC SUPPORT FOCUS Areas, which we intent to concentrate on this year. a. MONITORING : Working hand in hand with DMPSP (www.dmpsp.org) We intend to increase our monitoring activities around issues which lead to displacement. Specifically those of informal settlements which are prone to Flooding, Fires and xenophobic violence / political Instability. In 2010 we saw an increase in Xenophobic Attitudes and incidents of violence which has primarily been focused on Foreign Traders. We will also be monitoring politically related violence in South Africa as we head up towards the Local Govt Elections this year. As the deadline for registration of Zimbabweans expired on the 31 Dec 2010, we intent to increase our monitoring with regards to Repatriation Activities being undertaken by the South African Govt. Specifically we will monitor the activities around arrests by the Police and Home Affairs, as well as keeping a close eye on the activities taking place at the Lindela Detention and Repatriation Centre. We will also be expanding our monitoring and assessment activities to Cape Town this Year. b. 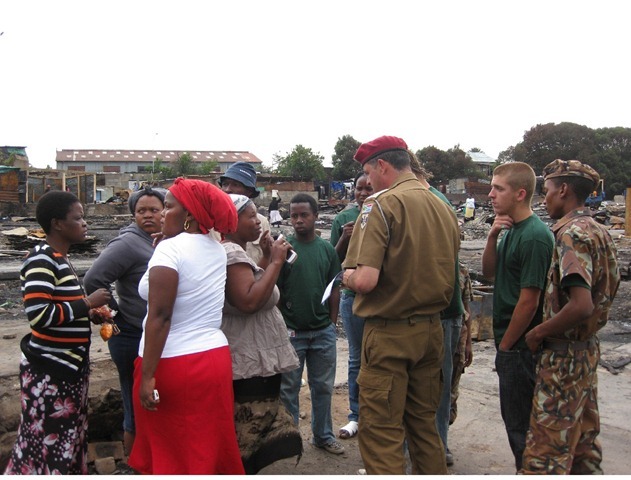 INTERVENTIONS : In 2010 MILITIA and DMPSP started conducting conflict resolution interventions in areas that had been affected by Xenophobic Violence. We intend to increase such interventions this year in order to prevent any displacement through violence. We will be conducting awareness campaigns and workshops in communities in order to assist in bringing about community cohesion and tolerance. c. SHELTER KITS : Our experience with issues of displacement, as well as having noted that there is a lack of availability of shelters to accommodate people that have been displaced, has necessitated that we acquire and have on standby SHELTER KIT’s to deploy at any time to places where shelter is immediately required for displaced people. 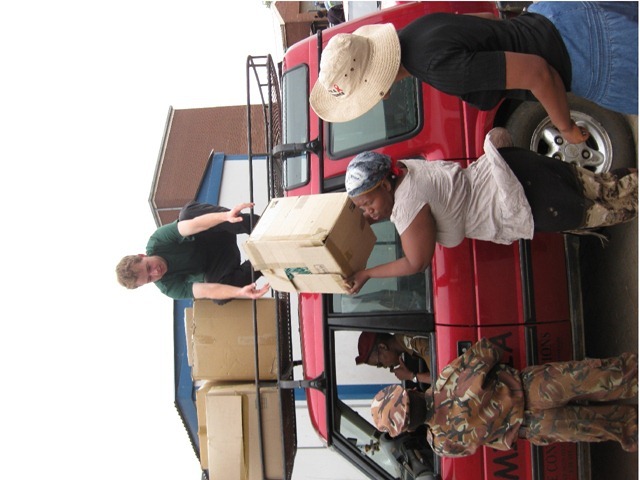 In 2010 alone we experienced about half a dozen major incidents of displacement in Gauteng Province alone, proper emergency shelters where hardly available and hundreds of people were left homeless and without any shelter for days before any assistance could reach them. We would like to have Emergency Shelter Kits that we can deploy at a moment’s notice to immediately provide vulnerable people with shelter and assistance. 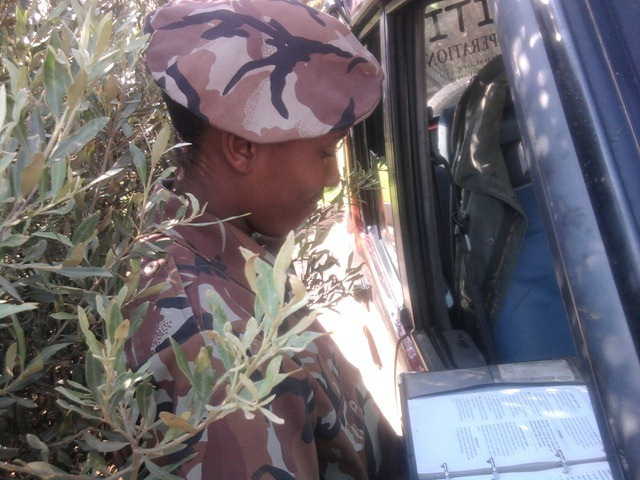 d. Militia Cadets : In 2010 we initiated the cadet program for the youth. This year we intend to make this youth program a priority and ensure that we expand it throughout Gauteng and further afield. We sincerely wish you a productive and joyful year in 2011. Happy New Year. 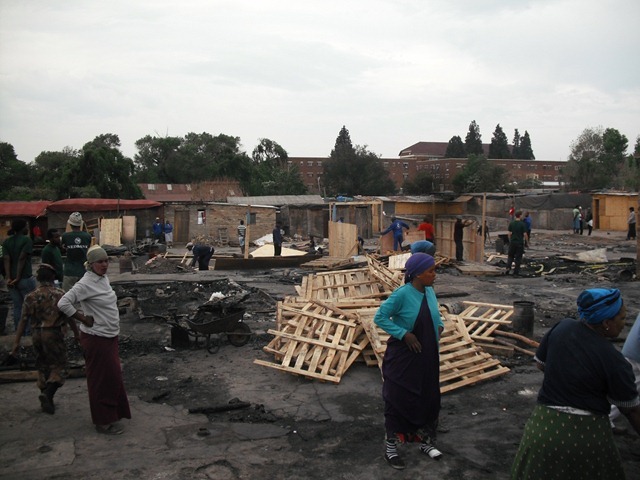 A fire at the informal settlement in Denver south of Johannesburg on the night of 22 Oct has claimed 2 lives and displaced approximately 300 people. The settlement at the Denver Main Hostel is home to thousands of Migrants from Kwa Zulu Natal. 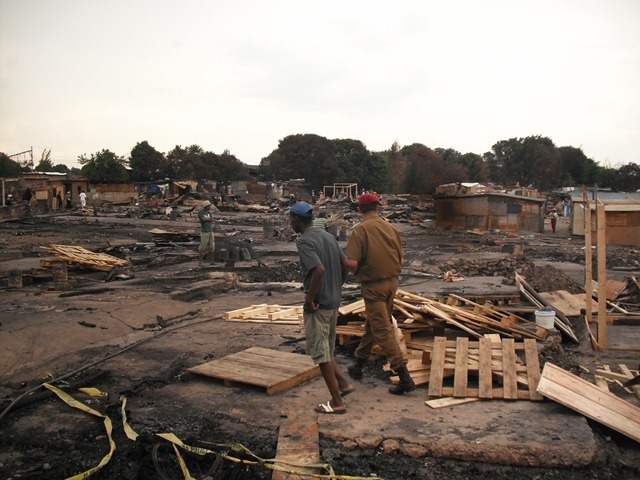 The fire destroyed approximately 170 homes. 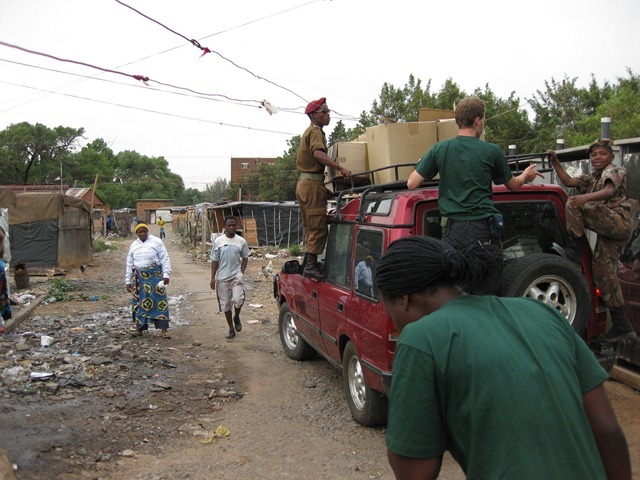 MILITIA as well as a few Militia Cadets and DMPSP deployed to conduct an assessment and to distribute clothes to the displaced people.